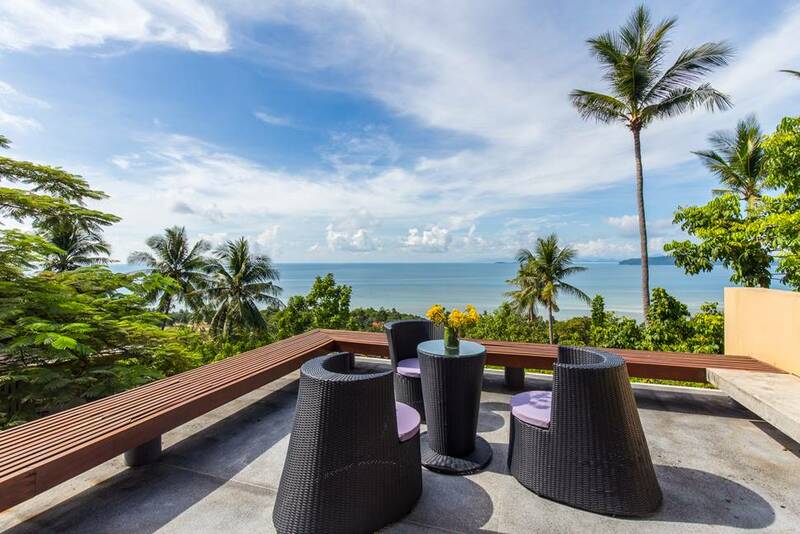 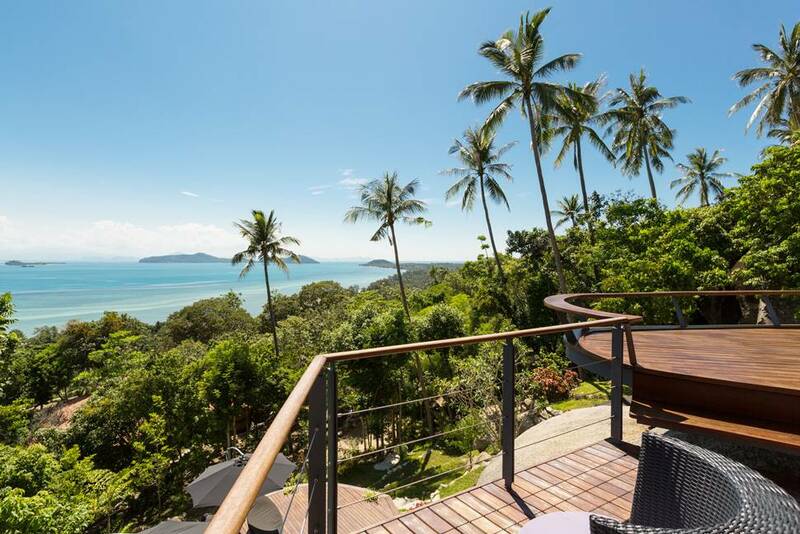 L2 Residence Built into a breathtaking tropical hillside with commanding views over the sparkling Gulf of Siam, L2 Residence is infused with the love its owners feel for their unique villa, for each other, and for Koh Samui's stunning natural surroundings. 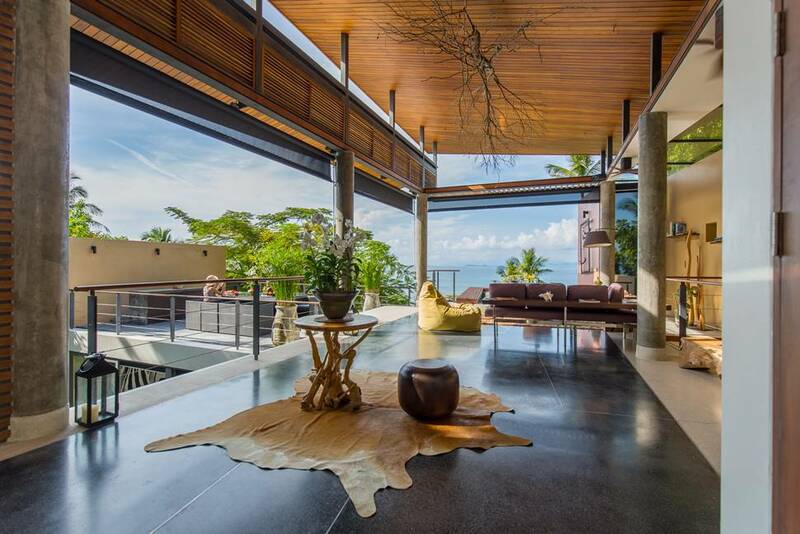 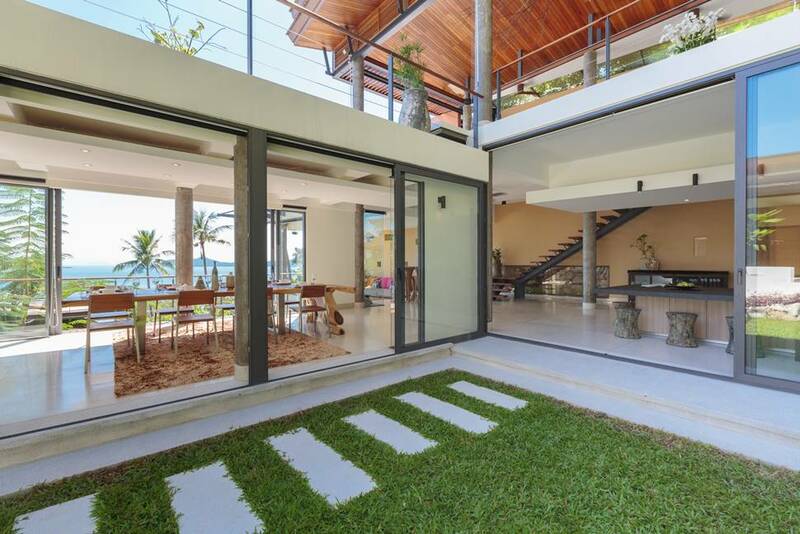 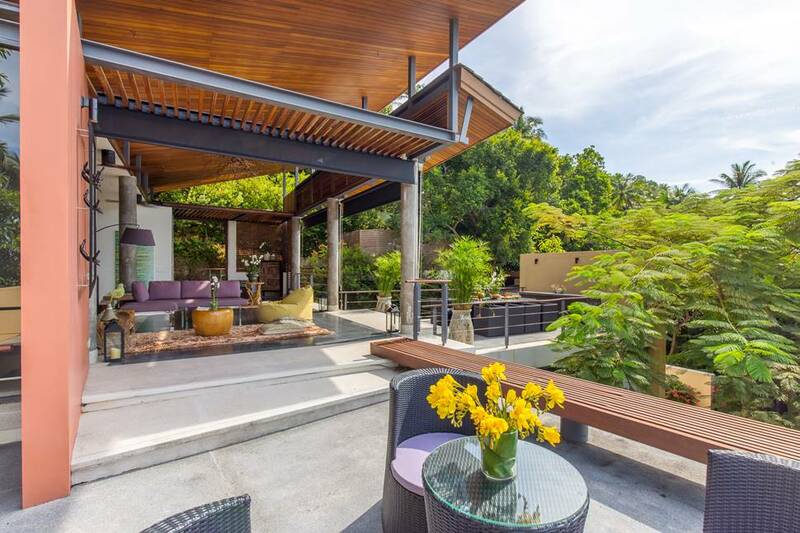 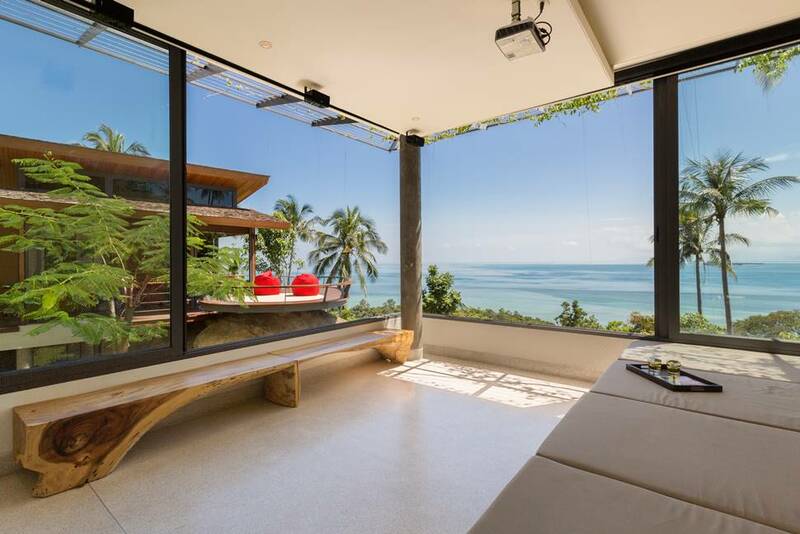 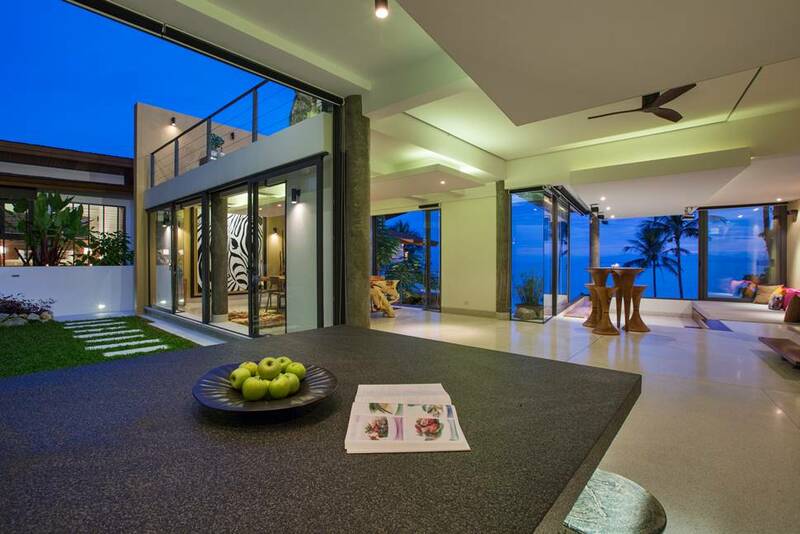 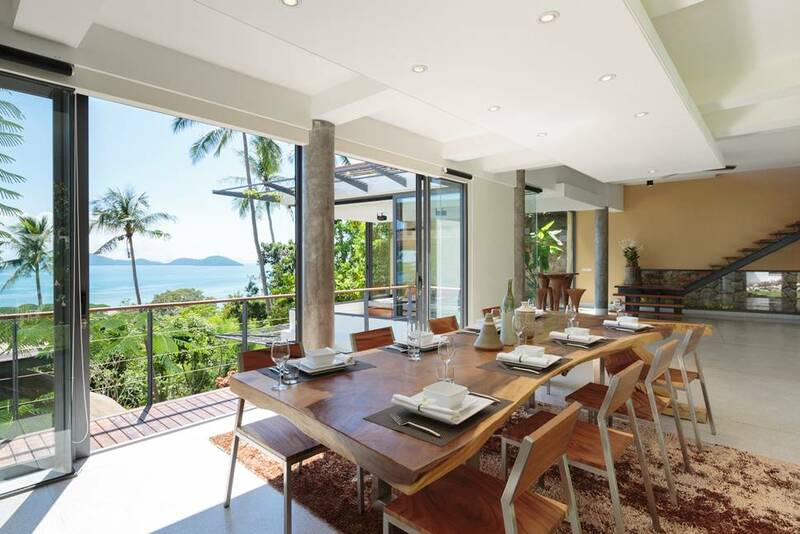 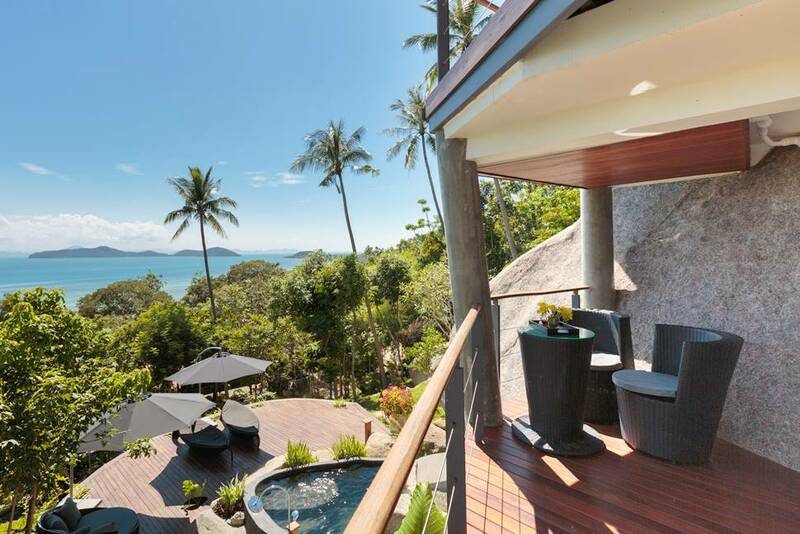 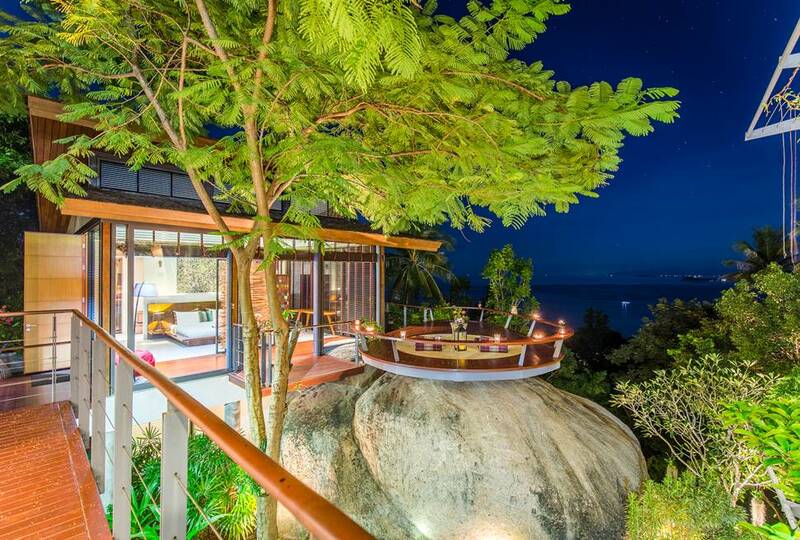 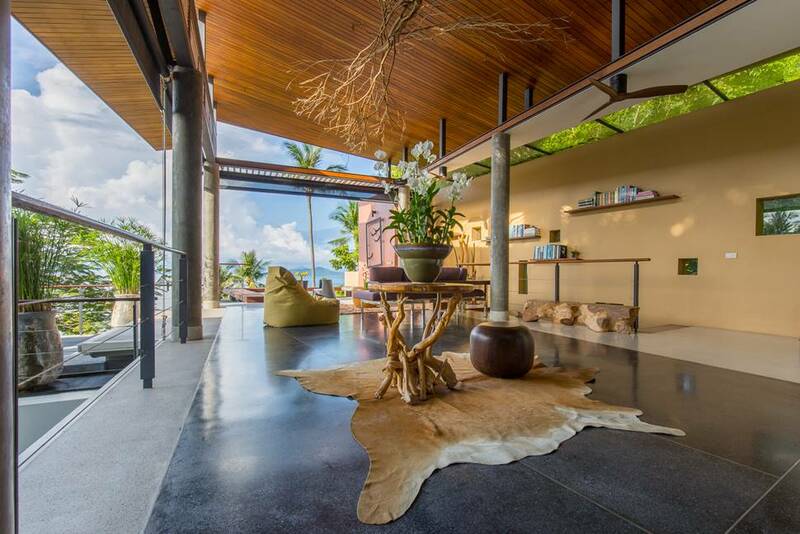 L2 Residences is one of the unique luxury villas on the Santhikiri Estate, an exclusive residential community on Koh Samui's idyllic southwest coast with 19 homes, communal tropical gardens, a common area swimming pool and a yoga sala. 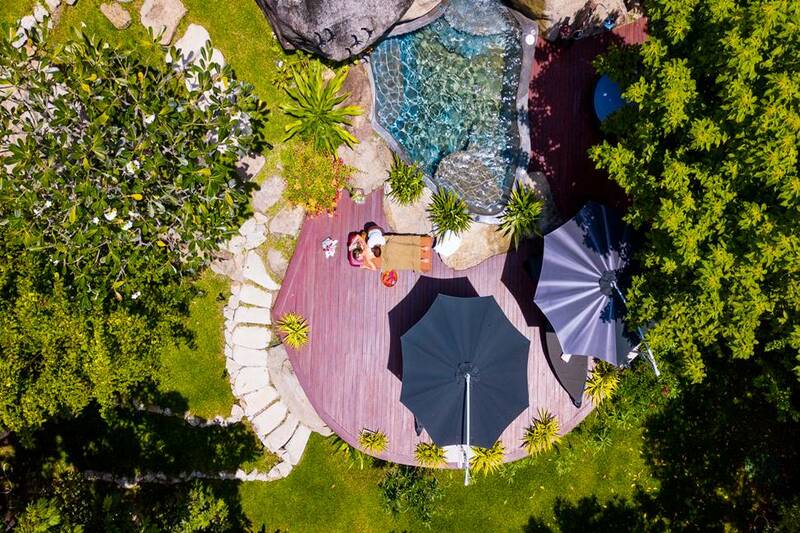 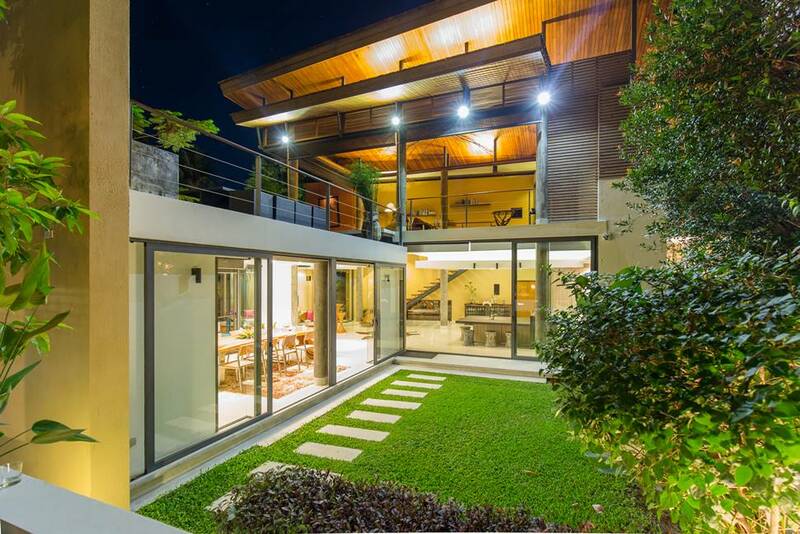 The estate is privately owned and managed by the resident community, providing 24/7 security staff and site management. 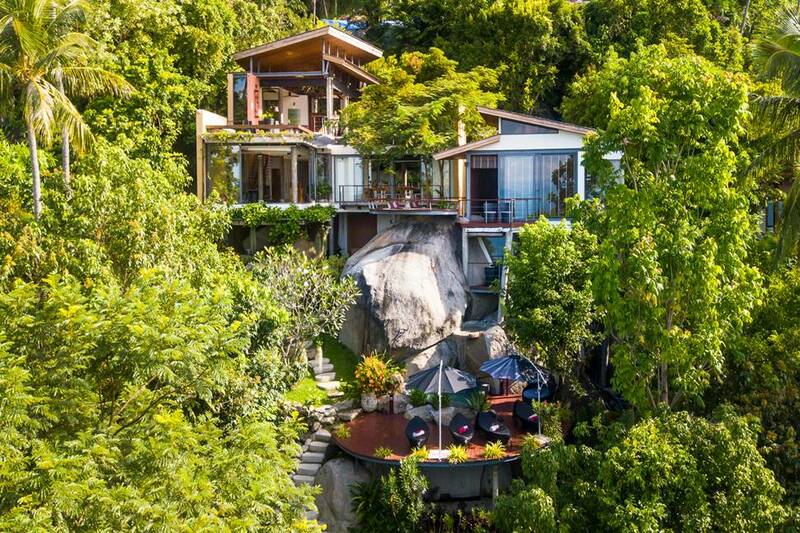 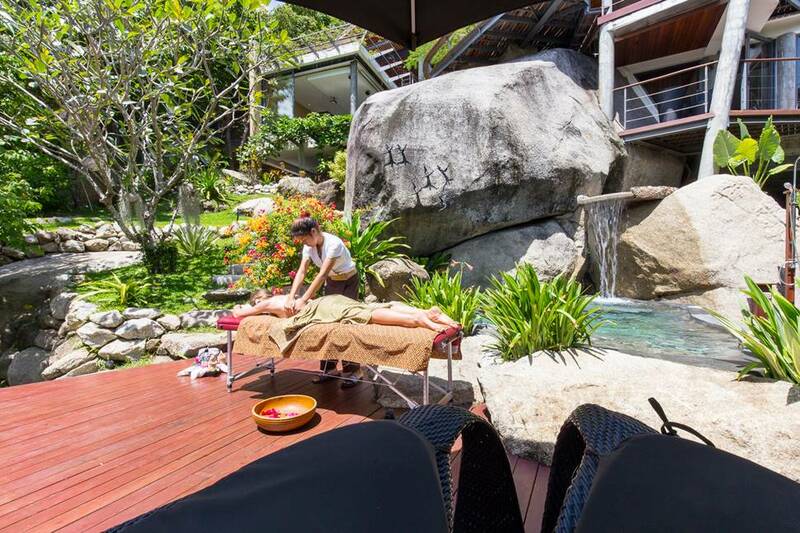 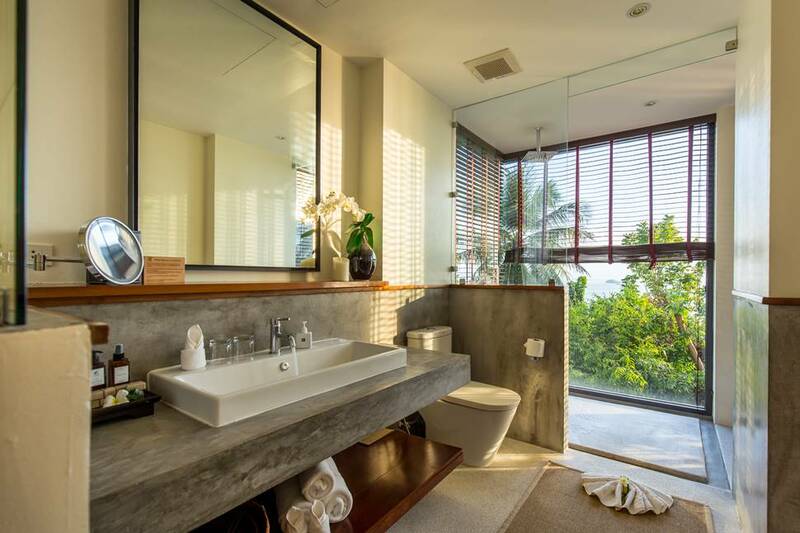 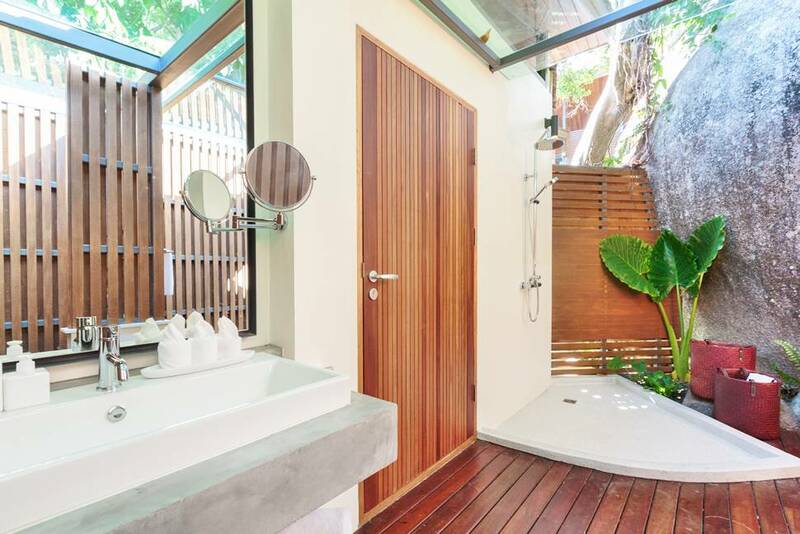 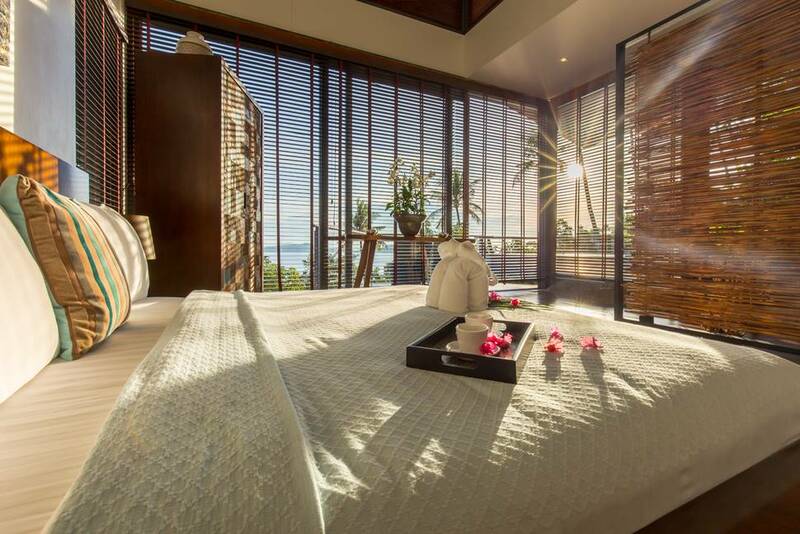 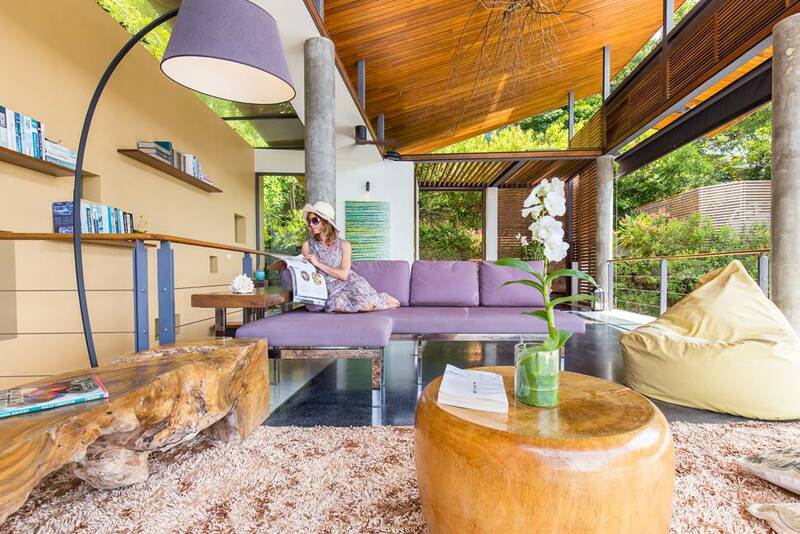 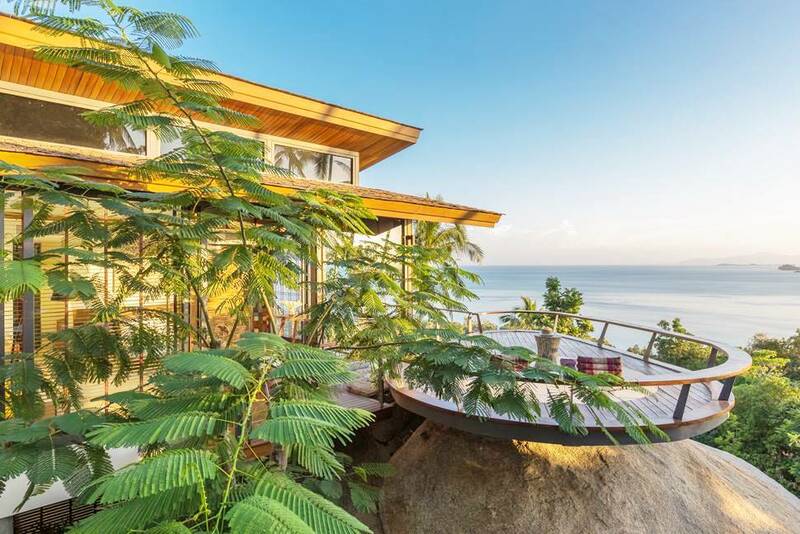 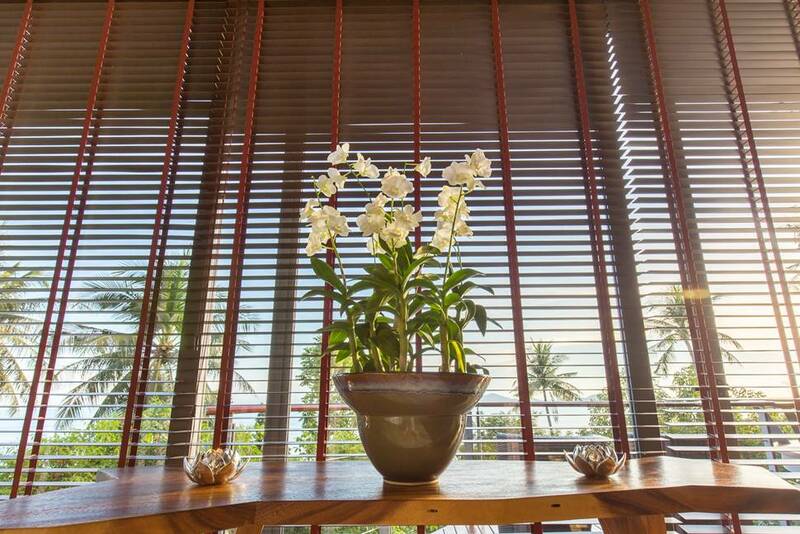 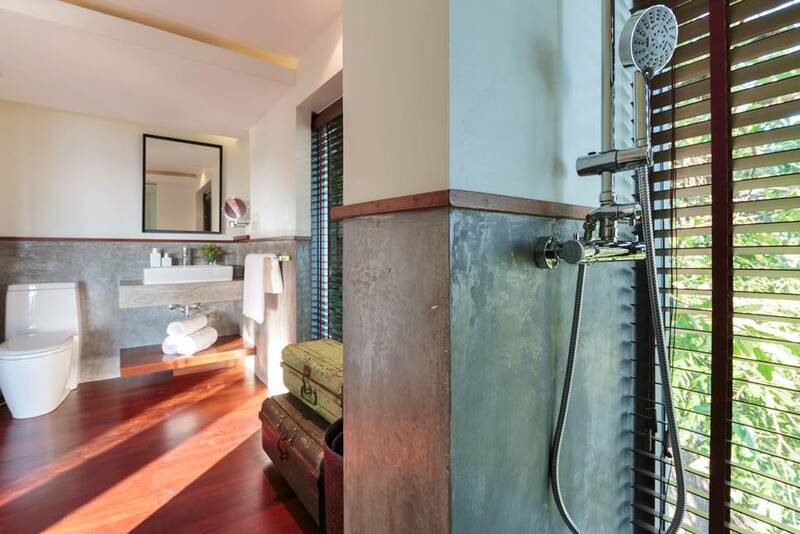 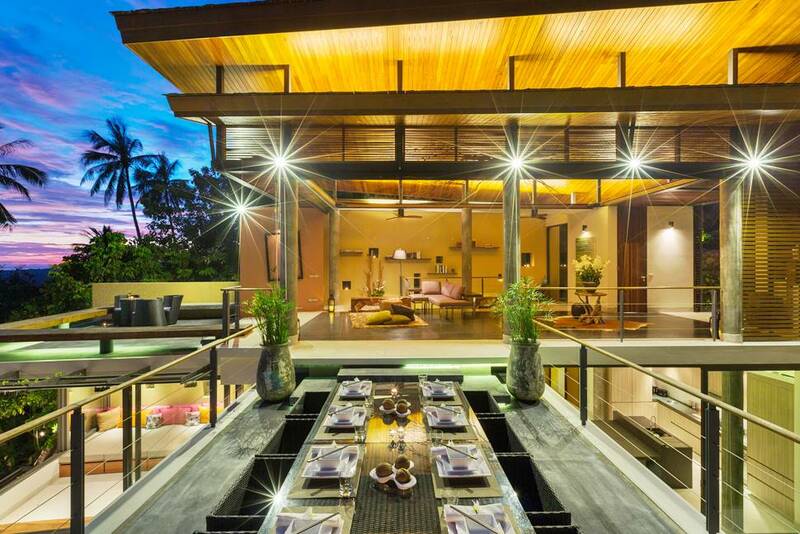 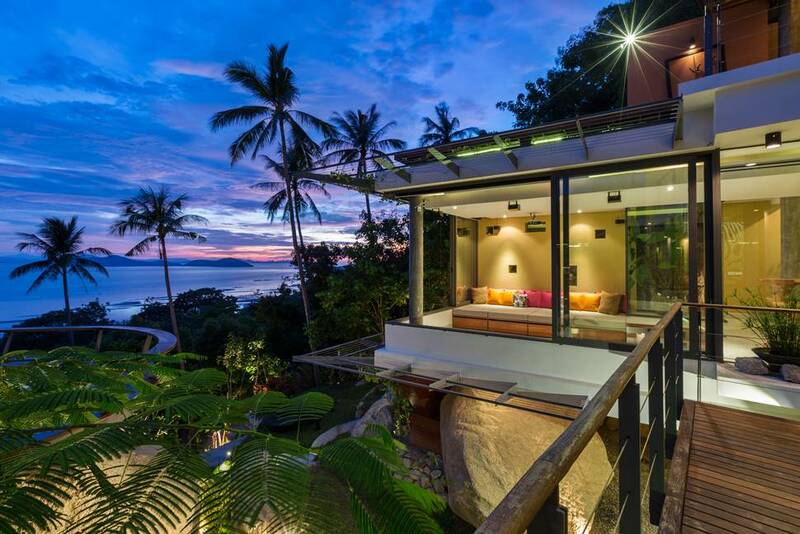 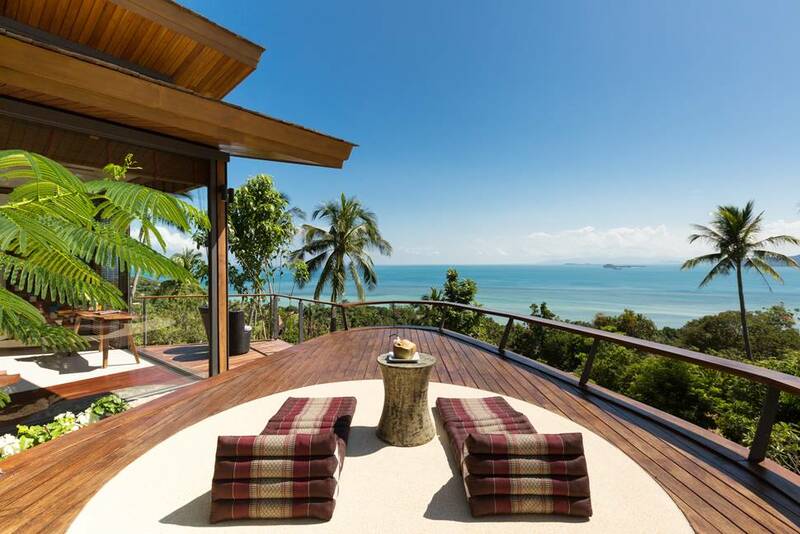 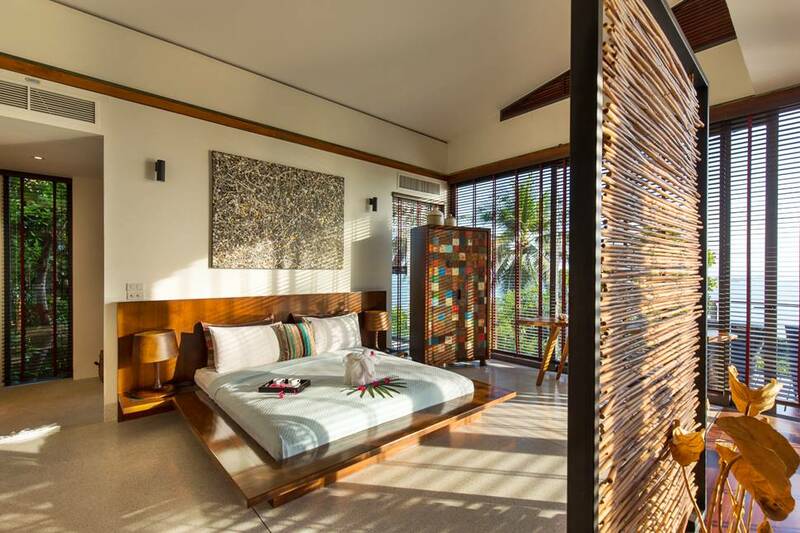 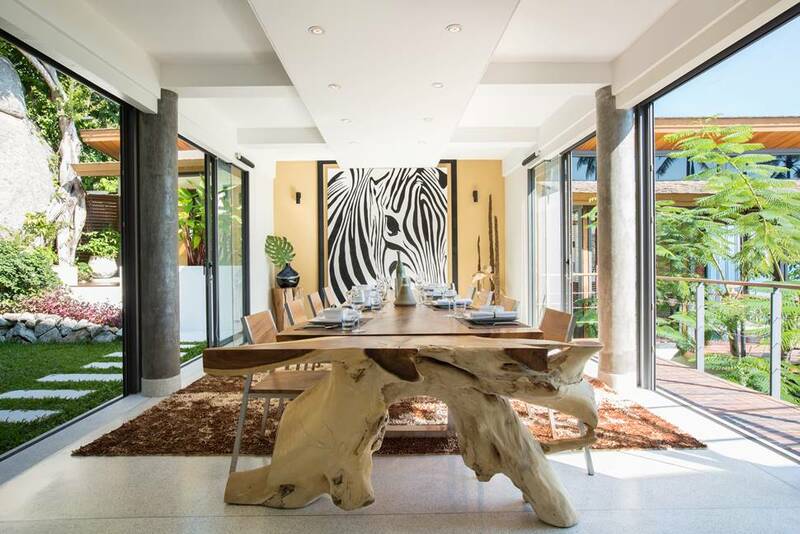 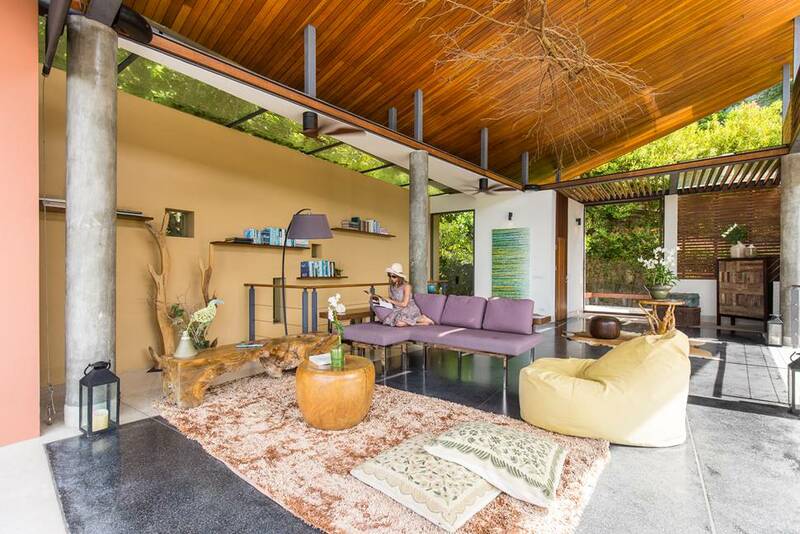 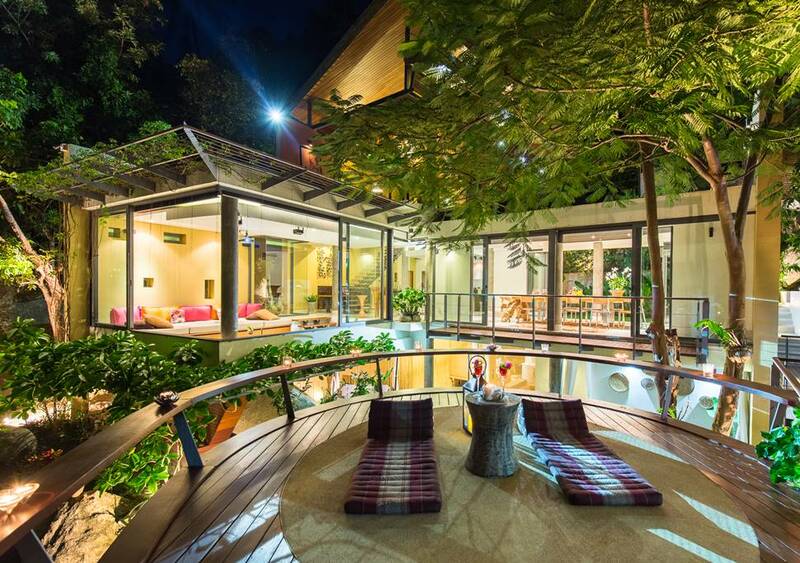 The villa is a short drive from the award-winning Kamalaya Wellness Sanctuary and Holistic Spa Resort. 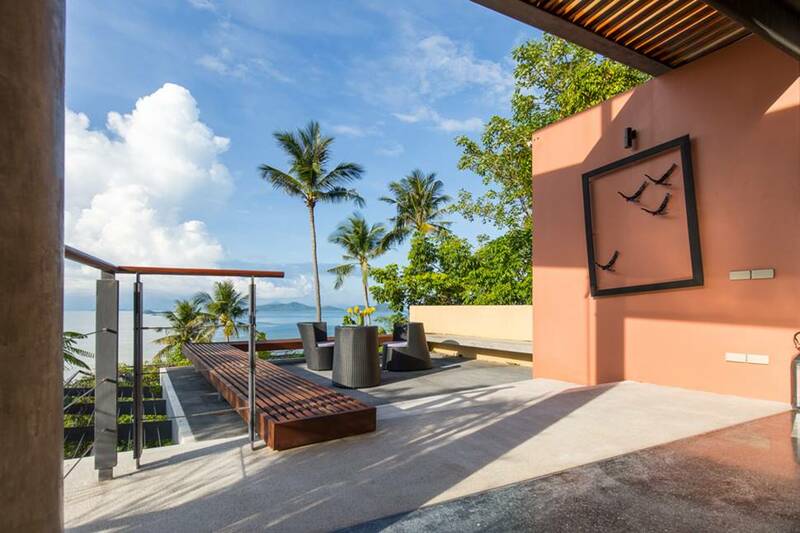 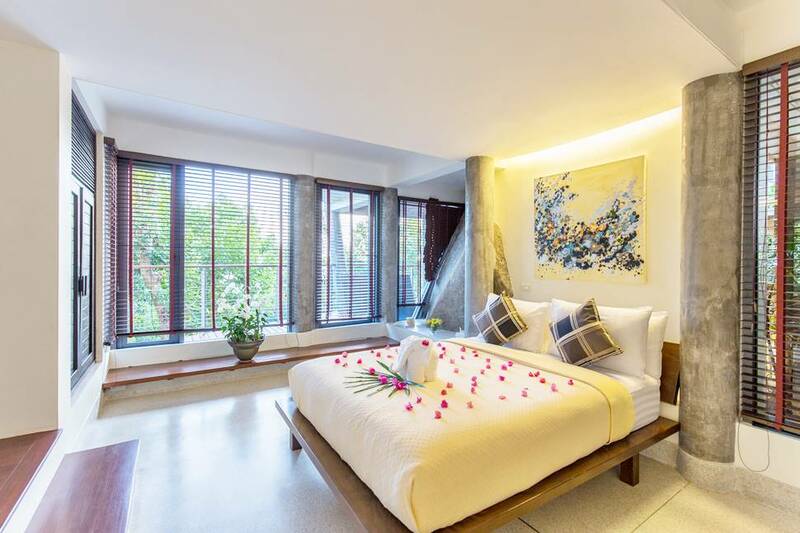 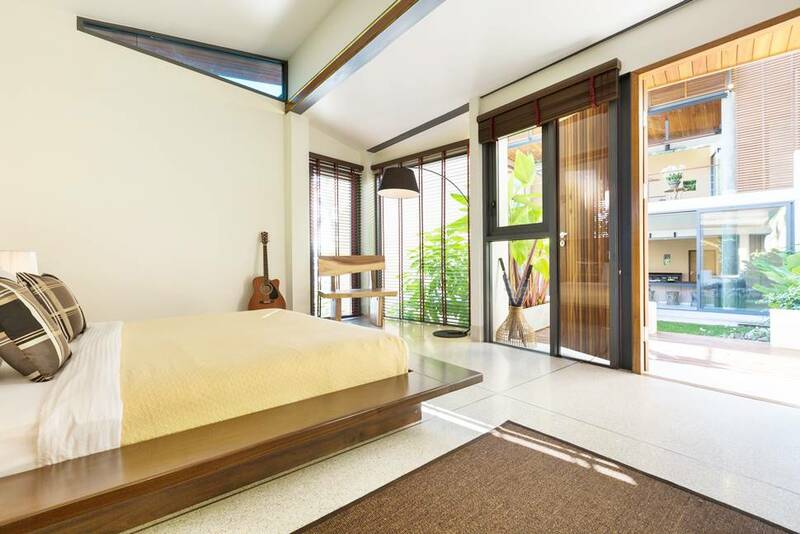 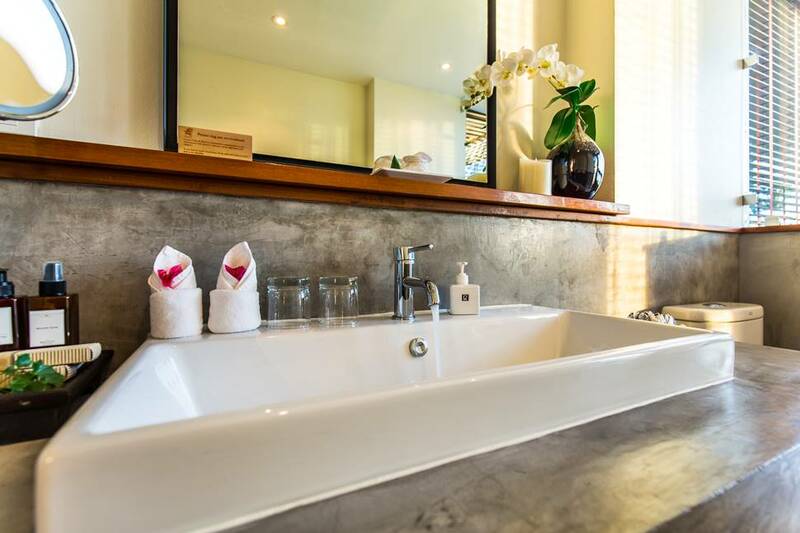 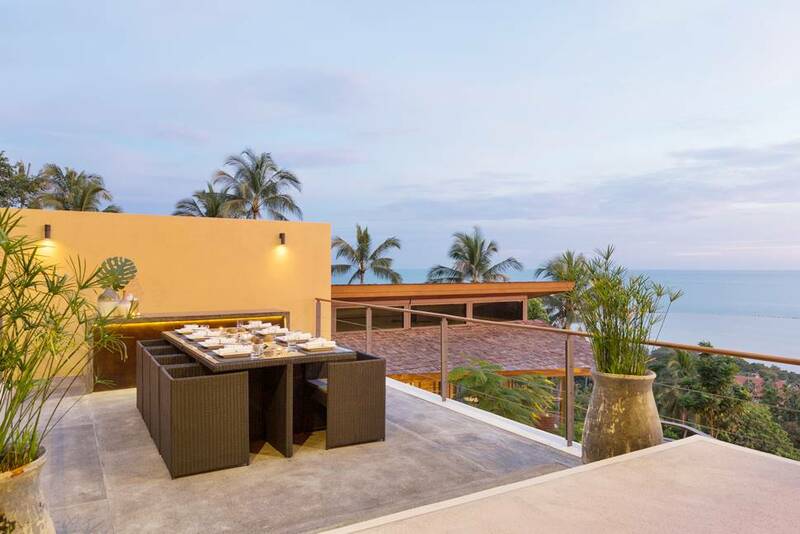 There's also a wide selection of restaurants, shopping outlets and bars in and around Lamai beach to the east (20 minutes) and restaurants overlooking the famed Five Islands at Taling Ngam to the west (15 minutes). 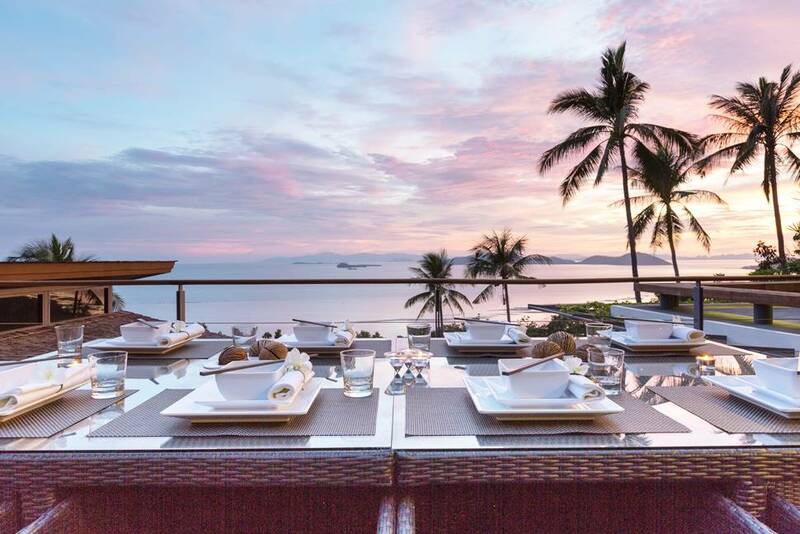 For a sophisticated night out, Nikki Beach is a short drive north from Taling Ngam. 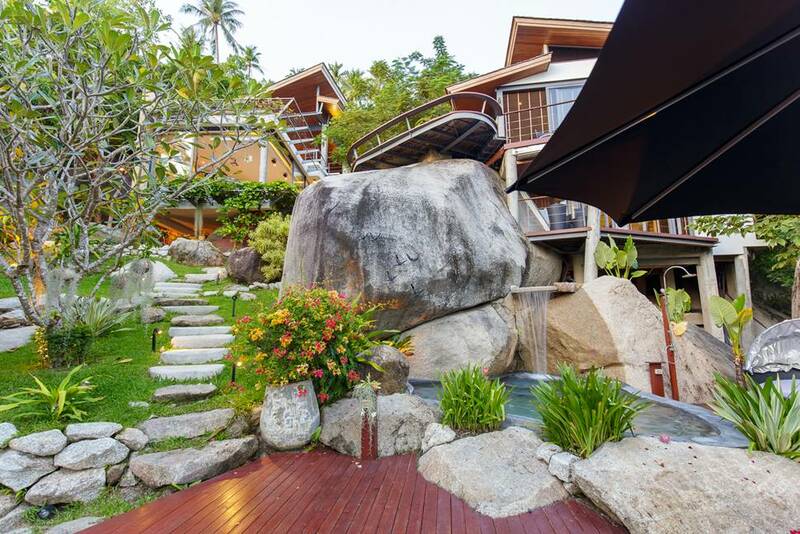 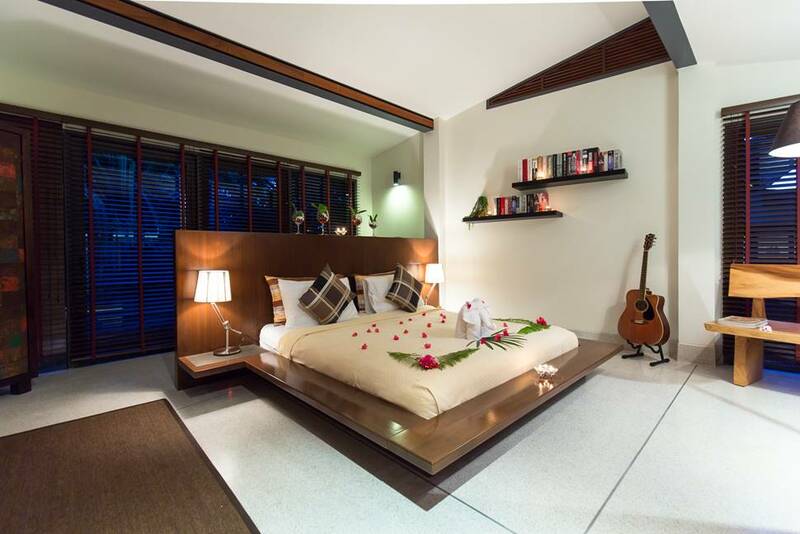 Daily rates from US$ 450 to US$ 900 depending if 1,2 or 3 bedroom occupancy *subject to availability and season. 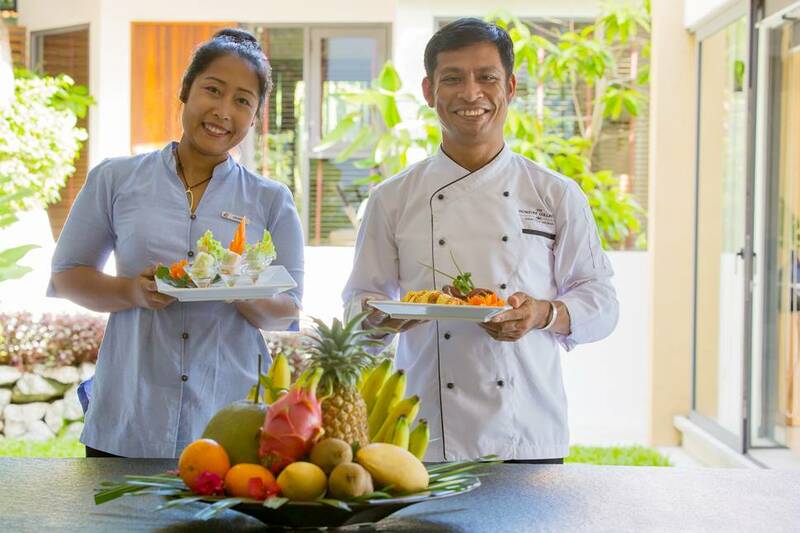 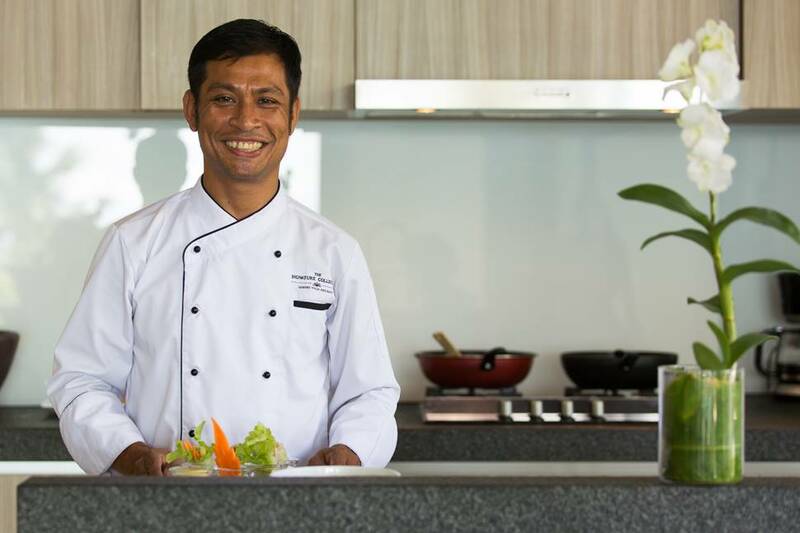 Chef service on request (Thai cuisine and Western favorites) upon availability with shopping list available – terms & conditions apply for chef service (surcharge apply) *note villas within The Boutique Villas do not include Thai Chef service as standard but subject to extra charges and availability.